On Oct. 6, 1973, as Israelis were fasting and observing the holiest date on the Jewish calendar, sirens pierced the heavy silence and changed the history of the Jewish state. A combined attack by the armies and air forces of Egypt and Syria, breached Israeli defenses and launched a nearly three week war that cost the lives of some 2,800 Israelis and maimed and scarred thousands of others. 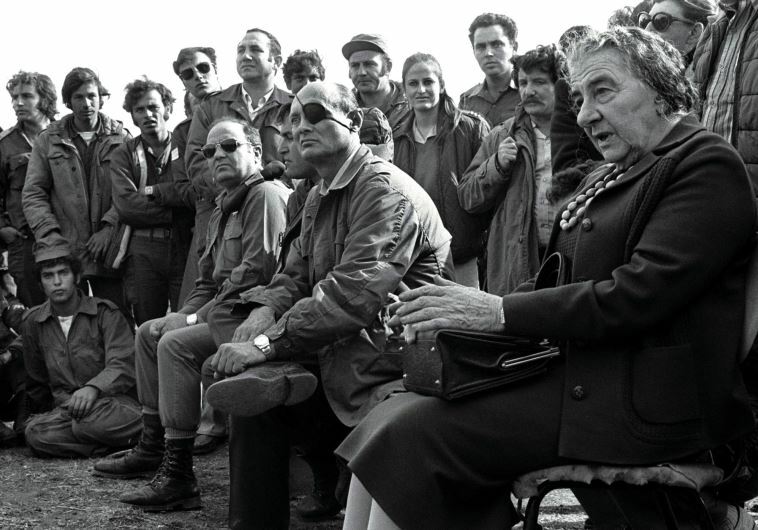 According to aides and papers published since, at one point Prime Minister Golda Meir thought of committing suicide because she could not bear the responsibility of the failure to prepare for the war. In the ensuing 42 years, after two wars (in Lebanon), two intifadas, several bloody operations in Gaza, thousands of missiles and countless suicide bombings later – the Yom Kippur War is very much present in the life and the psyche of Israelis, whether they know it or not. It’s not just the momentous political upset that followed the war and put an end to what seemed to be an eternal rule of the Labor party and the coming to power of the Likud and the right , after the 1977 elections. It’s the loss of naivety and trust in the establishment, any establishment, the erosion of the consensus that had accompanied all wars and military acts in Israel till then; it’s the men with post-traumatic disorders and the widows and orphans damaged for life by the war that could have been avoided. What would you say is the most striking consequence of that war? I believe it’s the rift between the generation of 73 – those who fought in that war or took part in it – and their parents generation. It destroyed the myth of the “binding of Isaac”, as taught to all Israelis, implying that Isaac went voluntarily to his slaughter and cooperated with his father’s willingness to sacrifice him. Those who fought in those bitter battles refused to cooperate with the “Abrahams” who sent them to war, sensing that something was basically wrong. Since the, Israelis refuse to cooperate in the binding. What strikes me as strange is the fact there are so many sites and streets named after the 1967 Six Day War, and not a single one named after the Yom Kippur War. 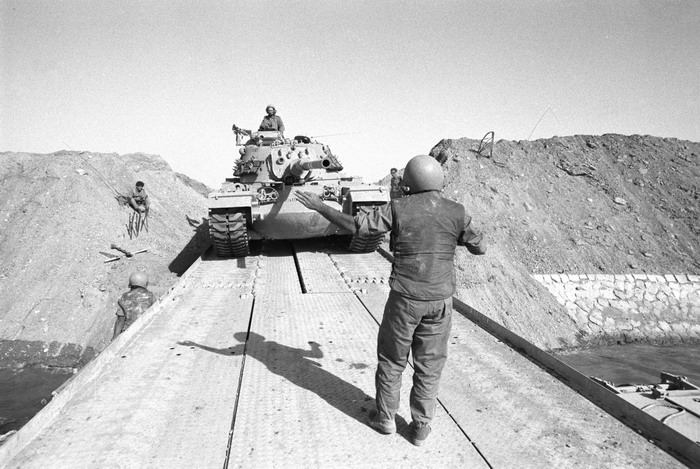 Not even after its biggest success – the Israeli crossing of the Suez Canal that changed the course of the war. In fact, it’s not surprising, at all. If the people recall that war as a national trauma, why would they want to wander the streets and be reminded of that? Plus, so many battles and events that occurred during that war are still subject to bitter controversy. Here I have to quote my professor, Charles Liebman, who wrote a lot about the myth of defeat but also claimed that it’s a rather non-functional term. A myth must leave room for hope, and defeat would mean that Israel is not really a safe haven for Jews. He therefore associated the term “mechdal” not with defeat or incompetence – but with negligence. Negligence can be rectified and it leaves room for hope. But what surfaced was anger and disappointment. Rightfully so. In early 1976 Dan Almagor, one of the most likeable icons of Israeli popular culture, wrote a parody on the sacred theme of young Israelis sacrificing their lives for the state. The trigger was the ceremony awarding a medal to Gen. Moshe Dayan, one of the architects of that war. The poem ended with the words: ”F..ck you, Jewish State”. Newspapers refused to publish it. Almagor published it as an ad in a popular daily, paid for by a group of bereaved parents. So there was anger translated into a change in political orientation and a sobering effect. These are the foundations of the generation of ‘73? Not really. They’ve become a generation of defiance, not offering any structured alternative, nor ideological agenda. As some describe it – it’s a generation of cynical people distancing themselves from values. It doesn’t apply, of course, to a whole generation- but to many.Over half of Israelis were not here in 1973: they were either born after the war of immigrated to Israel later. Still, that war is very much alive in the Israeli discourse. Interviewer – Lily Galili, a feature writer, analyst of Israeli society and expert on immigration from the former Soviet Union. She is the co-author of "The Million that Changed the Middle East."